There is no doubt that in most cases it is much cheaper for windshield repair rather than replaced. There are exceptions, and much of those involve things such as embedded antenna or rear windshield defroster strips. Those situations can cause the cost of repair to exceed the cost of windshield replacement. It is best to have little problems like chips repaired quickly. A chip can become a crack with very little effort. Leaving the car in the sun can cause a chip to become a crack. Leaving the car outside in the cold can cause a chip to become more severe. Driving down the road and hitting a bump can also cause a chip to become a crack. The problem with cracks is that they are not always repairable. Getting chips repaired can help you avoid auto glass replacement costs. Did you know that the front and rear windshield on vehicles do more than just keep out rain and weather? They are designed to help support the structural integrity of the vehicles. When an automobile is in an accident, the windshields work to support the both the structure integrity of the vehicle and the vehicles roof. Windshields were also improved to prevent people from flying through them during automobile accidents. The structural strength of windshields also keeps road debris and flying objects from entering the cab of the vehicle. Imagine that rock that chipped your windshield. How badly would that have hurt if it had made contact with you or a passenger? A rock the size of a marble when it strikes the windshield of a car traveling at 60 MPH has the force of a bullet. Anytime you have a chip in your windshield the glass has begun to lose its structural integrity. Getting chips and cracks fixed as soon as possible restores the structural strength of the glass. We replace side windows, wing windows and mirrors. Side windows are all made out of tempered glass in modern cars. Some of the old classic cars have non-tempered glass. Those can sometimes be repaired rather than replaced. We also clean up glass shards. If your car has been broken into and they smashed the window to steal your stuff, the damages might be covered by your insurance policy. Only 1 Auto Glass is a St Paul auto glass expert. Combined our auto glass technicians have over 200 years worth of experience replacing or repairing glass on automobiles. Our focus is always on customer service, and we provide the highest quality care for your car. We can work on modern cars or classic cars. We are qualified to replace HUD windshields. 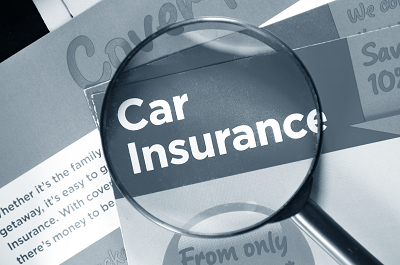 We also work with most insurance companies. We hold accreditation by the Better Business Bureau. We are mobile, which means we can come to your home or business. You can also come to us. We employ only experienced auto glass repair technicians. We are also a green business. We Recycle damaged windshields and auto glass. Any way you stack it up, Only 1 Auto Glass is your best bet.